At the 25th ASEAN Labour Ministers’ Meeting in Kuala Lumpur, Malaysia’s Human Resource Minister M. Kulasegaran announced the adoption of three vital documents. A ranking Chinese military official called for a more aggressive approach against United States warships conducting freedom of navigation operations in the disputed South China Sea. Southeast Asia is one of the world’s fastest growing regions, and its cities are at the heart of this growth. International visitor arrivals to 30 Asia-Pacific destinations hit a record 97.3 million in the third quarter of the year, increasing by 6 .2% according the Pacific Asia Travel Association quarterly tourism monitor. The Tourism Authority of Thailand (TAT) has a new scheme to micro-target niche tourist markets like Indonesian women and Japanese students. 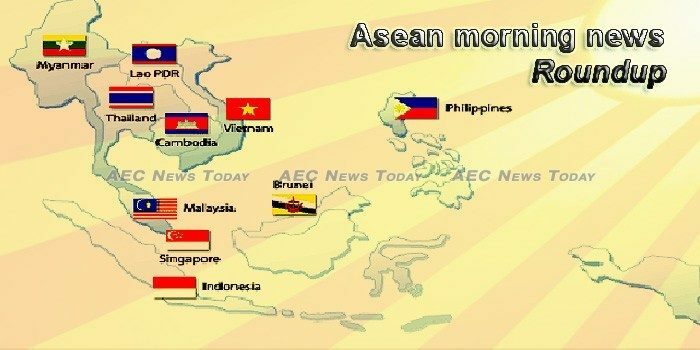 What Are the Stakes for ASEAN in Paris 2.0/COP24? The ongoing UN Climate Change Conference in Katowice, Poland, (COP24) is seen by many as the most important climate negotiation since 2015, when 196 countries agreed on a vision for a climate-neutral future by adopting the landmark Paris Agreement. SOUTH-EAST Asia rubber companies listed in Singapore are on track for a solid full-year performance, with the sector spurred on by rising demand and support from prices. In March, multiple media outlets broke the news of Cambridge Analytica’s business practices. China’s ambitious Belt and Road Initiative (BRI) celebrates its fifth anniversary this month. Grab, a ride-hailing service based in Southeast Asia, has made a $100 million investment in budget hotel network company OYO. The Philippines, represented by reigning UAAP men’s champion National University, stunned titleholders Thailand, 30-28, 25-23, 25-19, in the curtain-raiser of the 19th ASEAN University Games volleyball tournament in Naypyitaw, Myanmar. A Cambodian court found six union leaders guilty on Tuesday (Dec 11) of instigating violent protests against the government in 2013 and 2014, but suspended their jail terms. Indonesia has rejected a demand by Papuan rebels to hold negotiations on their territory’s self-determination. The Indonesian Plastic Industry Association (Inaplas) deputy chairman Suhat Miyarso rejected the ban on plastic bags regulated by several regional heads. Malaysia ranked fourth out of 12 Asia-Pacific economies in terms of market accountability and transparency, according to the recent 2018 CG Watch Report published by the Asian Corporate Governance Association (ACGA) and CLSA. Malaysia is looking into limiting or stopping the export of eggs to ensure there is sufficient supply for its domestic market, Domestic Trade and Consumer Affairs Minister Saifuddin Nasution Ismail said on Monday (Dec 10). Recently, somebody misused the love that Malaysians have towards the king of fruits by using it to scam people for their money. The ‘Musang King investment plan’ promised low investments with high returns and managed to con 155 victims out of a total of RM 3.1 million (€650,750) over the past four months. A gigantic steel arch has been put into place over the Nujiang River in southwestern China’s Yunnan province, and before the end of 2019 bullet trains will cross the world’s longest arched railway bridge at speeds of 200 kph. The last time Kyaw Soe Oo spoke with his wife before his arrest, he played a prank on her. The Reuters journalist was on a trip to Yangon, Myanmar’s former capital, but on Dec. 12, 2017, he told his wife he had returned early to their home in Sittwe, Rakhine State. “Come open the door,” he urged. U Kan Oo was roused from his sleep in the early morning of December by what at first sounded like a loud cries coming from his roof. The Criminal Court today ordered a former Bahraini national footballer detained for 60 days pending an extradition process after the Bahraini government had requested his extradition to face charges of arson, illegal public gathering to incite public unrest and illegal possession of inflammatory materials. Vegetables and fruits found in lunches for students under the government-sponsored lunch programme are almost 100 percent contaminated with pesticides and 99 percent of the urine samples from students and teachers in four provinces were tested with organophosphate, a deadly toxic pesticide that attacks nervous system. Thailand will not join the Comprehensive and Progressive Agreement for Trans-Pacific Partnership (CPTPP) during this government’s term, Commerce Minister Sontirat Sontijirawong said.